Join us April 28, 2018 for a 1-day Festival & Community Experience focused on sharing skills & ideas to build a more resilient, joyful future. 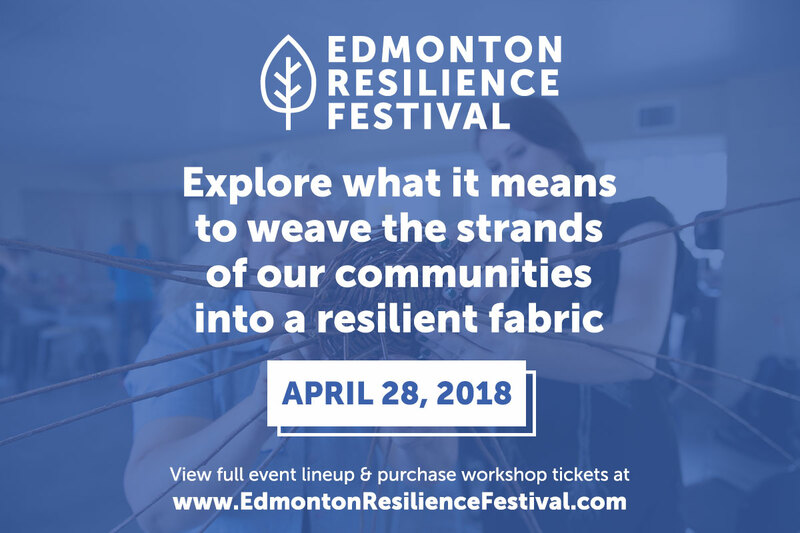 Workshop tickets and full event line-up are now posted on the Edmonton Resilience Festival website. We hope to see you there!